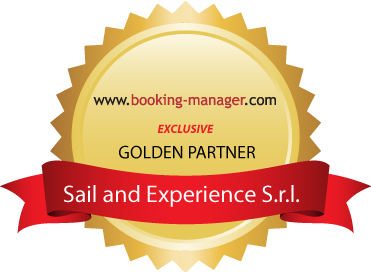 With the sailing tour The Gulfs’ Treasure, you have a 7 day tour package taking you through Castellammare di Stabia, Italy and Procida, Ischia e Capri, Positano, Amalfi, Sorrento. The Gulfs’ Treasure is a small group tour that includes accommodation as well as an expert guide and more. we will depart for Procida where we will moor and have dinner and a night walk along the Procida Harbour. Departure fro the most beautiful Island of the Flegree Archipelago: Ischia. We will sail to reach the S. Pancrazio Bay where we will stop fro lunch and some relax. Before dark we will navigate to the port of Forio where we will pass the night. Dinner on the boat and walk to the centre of the village up to visit the church of Santa Maria del Soccorso from where you can admire a breath-taking view. Sailing to Capri. Lunch on the boat and relax for the afternoon. In the evening excursion to the winery “Scala Fenicia” where, while visiting the wine cellar which once was a roman cistern, we will taste the Capri’s wines and other delicious local products enjoying the silence and the breathtaking views sitting in the terrace. Mooring in front of Marina Piccola. We leave Capri and sail along the divine Amalfi Coast, reaching the islands of “Li Galli” and then Positano. Lunch and afternoon between dunes and sun in the Bay of the Conca dei Marini. Before dark, short sailing to reach the charming village of Amalfi with its unmistakable Cathedral visible from the sea. Dinner in town, visit and overnight stay. Local tastings will be followed. Departure for Positano, mooring at the gavitello with taxi boat service for an evening in the town. Dinner by the sea; you can range from excellent pizzas to a fish base dinner in the characteristic bay of Fornillo, tasting the typical dishes of the Amalfi Coast tradition. Navigation for Sorrento with a stop for lunch and relax in the bay of Recommone. In the afternoon back to the harbor in Sorrento. Dinner and walk into the city streets. After a delicious breakfast pastries from Sorrento culinary tradition, we set off for a day devoted entirely to relaxation. Diving, swimming and resting, lying in the sun or under the shade of the awning. Lunch in the Bay of Puolo.